Bristol has been a bike theft hotspot over the last few years, but with bikers and police working together, almost 400 machines have been recovered in the last 12 months. Avon and Somerset Police set up Operation Buell in January 2017 to combat the crime wave perpetrated by the Bristol Bike Takers – a teenage gang who had got brazen enough to flaunt their exploits on Instagram. Recovering these bikes is a huge achievement, but has been made easier by the formation of a south-west-based bike recovery group called Stolen Bike Recovery Bristol. The group of avid motorcyclists were sick of bike crime and decided to help repatriate nicked bikes. “Our aim is to get bikes back to their rightful owners without the involvement of police and expensive recovery charges,” they say. They’re certainly tooled-up for the job. Equipped with vans, walkie-talkies and wearing stab vests, they track down suspicious bikes, know the places where stolen machines are stored and will co-operate with the police if needed. Their Facebook group now numbers over 1000 members who also help by sharing details of stolen bikes and sightings of suspicous-looking people. 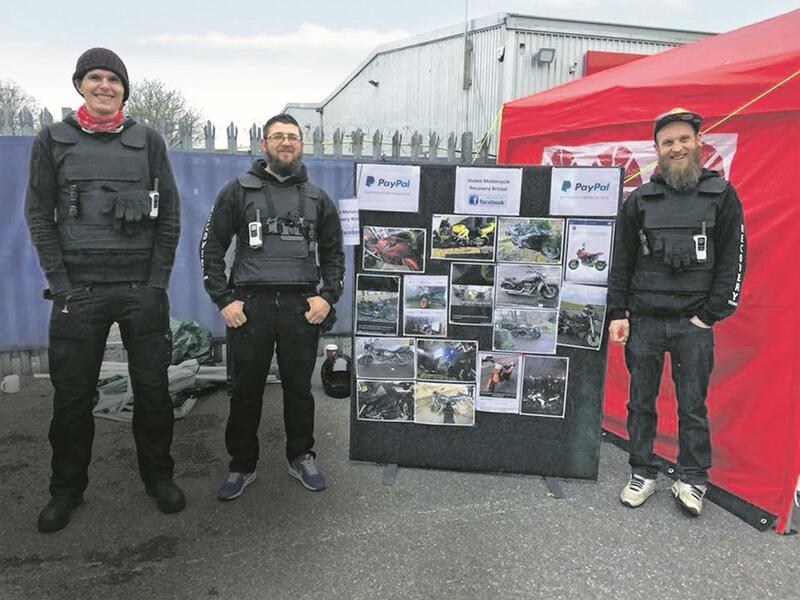 The group even have the support of leading bike dealers, too, and have even appeared at a recent Fowler’s Theft awareness ride and worked with the dealer to return a customer’s two-month-old Speed Triple. So far, the group have recovered 30 stolen bikes working without the police.